Master two essential subjects in engineering mechanics -- statics and mechanics of materials -- with the rigorous, complete, and integrated treatment found in STATICS AND MECHANICS OF MATERIALS. 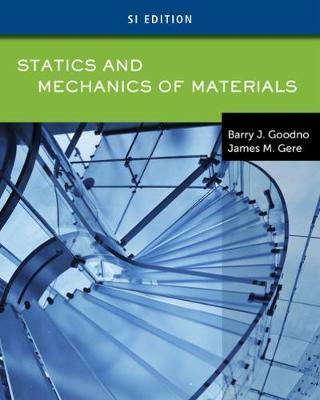 This practical text helps you establish a strong foundation for further study in mechanics that is essential whether you continue in mechanical, structural, civil, biomedical, petroleum, nuclear, aeronautical, or aerospace engineering. The authors present numerous practical problems based on real structures, using state-of-the-art graphics, photographs, and detailed drawings of free body diagrams. All example problems follow a comprehensive, organized, and systematic Four-Step Problem-Solving Approach to help you strengthen important problem-solving skills and gain new insight into methods for dissecting and solving problems. This free website also contains nearly 200 FE-type review problems to help prepare you for success on the FE Exams.